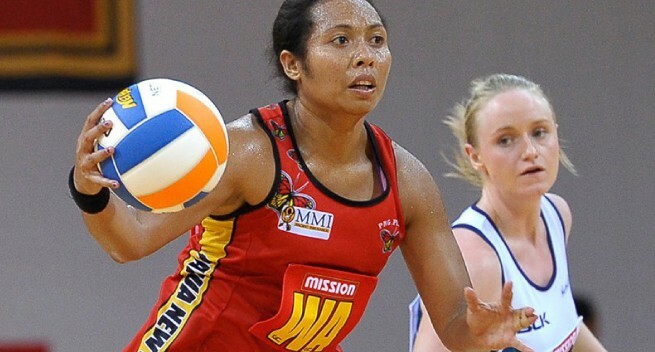 The Papua New Guinea Pepes netball team went down 52-41 to higher ranked Northern Ireland in the 10th Mission Foods Nations Cup final at the OCBC Arena. Pepes coach Unaisi Rokoura said: "We came here on a mission, to make sure we get to the top two, and we did that by beating Botswana in our last group game. "For the girls to get to the finals is just amazing, we achieved our mission coming here to be in the top two. "The girls performed, they didn’t let Northern Ireland run away with the ball. "For the first quarter we were really down, but we came back to win the second and third quarter, and in the last quarter it was our fitness that let us down, but in the end we are very proud of the girl’s performance, they never stopped and they carried on right to the last whistle," she added. Fans saw the top-two teams of the tournament lock horns in a bid to be crowned the tenth Nations Cup champion. From the beginning, 12th ranked Northern Ireland signaled their intentions as they paired their top scorers for the tournament Jenna and Kyla Bowman up front. This pairing proved effective as they raced to take the first quarter 16-4, as both displayed their attacking prowess in the offensive circle, scoring 70% of their 23 attempts. The pair worked their magic into the second half as Papua New Guinea piled on the pressure, clawing away at their 12-point lead through GS Tiata Baldwin, who missed her prior two matches due to a knee injury. Despite the lay-off the 6 foot 2 inch goal shooter showed no signs of rust as she paired up with Captain Lua Rikis to tip the second quarter in Papua New Guinea’s favour nicking it 15-14. The third quarter of the match proved to be more of the same from the Pacific Islanders as they managed a five-goal run midway through the quarter to put the Northern Ireland defence under pressure. Their long and direct style of play gave the Northern Irish defence a tough time as the Papua New Guineans dictated the pace of play and chopped away at the Northern Irish lead. Undeterred, the European powerhouse stuck to their game plan and managed to maintain a 7-point lead at the end of the quarter by scoring nine goals. In the final quarter, the Northern Irish altered their game plan as they introduced nominee for Northern Irish Sportswoman of the Year, Caroline O’Hanlon as Goal Attack, in an attempt to hold onto the lead and press higher up the court. This proved a wise decision by Head Coach Julie Kimber, as it allowed her team to snuff out a number of Papua New Guinea attacks and stretched their 7-point lead by 4. Despite the full-court pressure from the Papua New Guineans it was evident later in the closing minutes that the lead managed by the Northern Irish in the first quarter was enough to win them the title as Captain Gemma Gibney led from the back to win the Northern Irish their second Nations Cup in six years.